Changes coming: The Oscars are still the last stop on the awards railroad, but calendar changes and revised rules for other events could impact on how Academy members vote this year. In recent weeks, the British Academy (BAFTA's), Hollywood Foreign Press Association (Golden Globes), National Board of Review (NBR) and Broadcast Film Critics Association (Critics Choice Awards) have all announced changes of one sort or another. Schedule changes, in particular, for announcing nominations and winners can have a significant influence on which films Academy voters make time to watch. Academy members tend to be away on vacation over the winter holidays, which is exactly when they should be spending time in screening rooms or, at least, popping screeners into their home theatre DVD players. As they start thinking about the 89th annual Academy Awards, they'll have a bit more time than before to ponder their nominating decisions – or to check out films that other awards groups have already gotten excited about. Nominations balloting for the 88th Oscars began Dec. 30, 2015 and the polls closed last Jan. 8. That was incredibly bad timing for voters who were holidaying in Aspen, Maui or wherever. They had less than a week after returning home to get their noms in. This time around, the nominations polls don't open until Jan. 5 – when the voters are, presumably, back home – and ballots don't have to be in until Jan. 13. Thanks to online voting, members can hold off making their decisions until the final day. The Academy's revised nominations calendar should enable members to see more of the movies being presented for their consideration. But because of other calendar changes, Academy members will also know how some other awards groups are voting. If they read newspapers, surf the web or watch television, they can't help knowing who already likes what. And it's only human nature to be influenced by knowing what others are doing. This year's first big awards winners will come from the New York-based National Board of Review, which has been around for the past 107 years, making NBR about 18 years older than Oscar. "We once again look forward to being one of the first groups to announce the best in year-end filmmaking achievements and contributing to 2016's ever-expanding awards conversation," NBR president Annie Schulhof observed in announcing that the group's winners will be revealed Nov. 29 and bestowed Jan. 4. In recent years, Schulhof's made NBR an important part of the awards conversation by scheduling its awards announcements early in the game. That means they make headlines before the media tires of hearing over and over again about the same winners and nominees as the awards season slogs along for months. The New York Critics Circle and the NBR have competed the past few years to announce the first winners of the new awards season. Last year NBR was first (Dec. 1) and NYCC followed one day later. In 2014, NYCC was first (Dec. 1) and NBR announced the next day. NBR's Nov. 29 announcement date should make it first-out-of-the-box this year (although at this writing NYCC hasn't yet revealed its announcement date). Between the two groups, NBR did much better last year in terms of foreshadowing what Academy members would applaud. Last Dec. 2, NYCC named "Carol" its best picture, directing and screenplay winner. As things turned out, "Carol" won no Oscars and did not receive a best picture nom. NYCC's only award to "Spotlight," which later won two Oscars (best picture and original screenplay), went to Michael Keaton for best actor. One day earlier, NBR had announced that its best picture winner was "Mad Max: Fury Road." "Max" went on to receive 10 Oscar noms, including best picture and directing. It ultimately won six Oscars -- for film editing, production design, costume design, makeup & hairstyling, sound editing and sound mixing. "Spotlight" made NBR's 10 top films of the year list, but NYCC's big winner, "Carol," did not. The Broadcast Film Critics Association is another group that recognizes how having an early presence on the calendar can influence Oscar voting. The group's 22nd annual Critics Choice Awards will air live Sun., Dec. 11 at 8 p.m./ET (5 p.m./PT). That's long before the mid-January timing BFCA has traditionally had. BFCA's noms will be announced Dec. 1. Last year they weren't revealed until Dec. 14. So BFCA will definitely be playing a bigger part in the early awards season conversation this time around. It does, of course, put pressure on awards marketers to get their films – particularly those opening in late December -- in front of BFCA members as well as NBR members in view of their early announcements. By announcing its winners the night before the Hollywood Foreign Press Association announces its Golden Globes nominees Dec. 12 at 8 a.m./ET (5 a.m./PT), BFCA will take some of the spotlight away from the glamorous but often disrespected Globes. Moreover, by being the first major awards season telecast, BFCA should boost its telecast's ratings. At this early point in December, the public will not have been seeing the same handful of stars making the same scripted speeches on identical looking red carpets everywhere. As the awards season inches along, the only thing that changes is the answer to "Who are you wearing?" Last year, BFCA announced its noms Dec. 14, which "Max" dominated with 13. When the awards were handed out Jan. 17, it was "Spotlight" that won best picture, just as it did Oscar night. "Max" did nicely, however, winning in nine races -- directing, production design, film editing, costume design, hair & makeup, visual effects, action movie, actor in an action movie and actress in an action movie. Between BFCA and HFPA, the broadcast group is the better bellwether for the Oscars. Last year's Globes best picture winners (announced Jan. 10) were "The Revenant" in the drama category and "The Martian" in the comedy or musical race. There was no HFPA love at all for "Spotlight," which lost in all three of its categories – best picture, directing and screenplay. By the way, if you can't quite wrap your head around the sci-fi adventure drama "Martian" being in the Globes' best comedy or musical race, you're not alone. In fact, nearly half of the HFPA's 90-odd members – some would say 90 very odd members – reportedly voted last year against including "Martian" in the less competitive comedy category, where it stood a better chance of winning than it would have in the much tougher drama race. Of course, Fox was smart and absolutely right to have fought hard to get it into the HFPA's comedy category since "Martian" did end up winning best picture-comedy or musical as well as best actor-comedy or musical (Matt Damon). Spring-boarding off its high profile Globes noms, it managed to nab seven Oscar noms, including best picture and actor (Damon), but in the end won nothing. That won't be an issue this year, however, since presumably embarrassed HFPA members have since voted to tighten their rules defining what is or isn't a comedy. Apparently, the HFPA felt the media heat it took last year over "Martian" was no laughing matter. This year's Globes noms will be revealed Dec. 12 and the winners will be announced Jan. 8. Another industry group that's thought to have some influence over how Academy members vote is the British Academy of Film and Television Arts (BAFTA). That's because BAFTA and our own Academy have about a thousand overlapping members, whose preferences in the BAFTA vote typically surface again in their Oscar voting. Last year's BAFTA noms were announced Jan. 12 and the winners were revealed Feb. 14. This year's timetable has noms coming out slightly earlier on Jan. 8 and awards handed out again on Feb. 14. One big rule change the British Academy's made this year is that it will now consider features that are distributed digitally and get only a modest theatrical release. To qualify, the digital features just need to play in the U.K. on 10 theatrical screens for a week. It's a change that should help digital streaming video services like Netflix and Amazon Prime by making a wider range of their feature content eligible for BAFTA consideration. Last year, Netflix's critically acclaimed high profile drama "Beasts of No Nation" struck out with most major awards givers. It scored no Oscar noms, one Globes nom (Idris Elba for supporting actor), one BAFTA nom (Elba for supporting actor – he was eligible because "Beasts" had a qualifying U.K. theatrical run) and one Critics Choice nom (Abraham Attah for best young actor). "Beasts" did best with the Screen Actors Guild where Elba won supporting actor and the cast was nominated for best ensemble cast, SAG's equivalent of a best picture nom. This year's British Academy rule changes also include expanding the number of best animated feature nominees from three to five, allowing for a more competitive horse race in that category. Last year's best animated BAFTA winner, "Inside Out," also took home the best animated feature Oscar and Globe. BAFTA's two other animated noms went to "Shaun the Sheep Movie," which also was Oscar nominated, and "Minions," which did not get into the Oscar race. Bottom line: For now, the Oscar race is overshadowed by the boxoffice race where a high-flying holdover hit held on to first place. 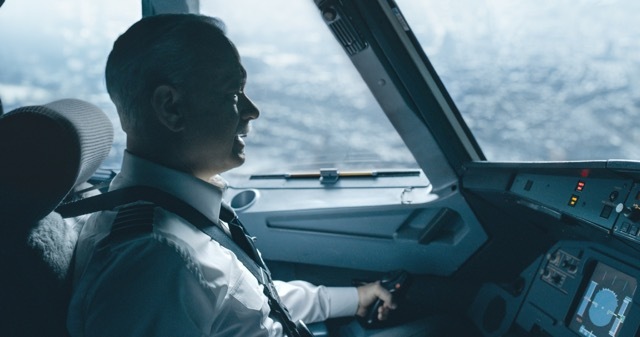 Warner Bros., Village Roadshow Pictures and RatPac Entertainment's PG-13 rated biographical drama "Sully" landed atop last weekend's chart with $22 million and a domestic cume of $70.5 million after two weeks. That's great news for WB -- not just financially, but because "Sully" is also generating an Oscar buzz in prime races like best picture, directing (Clint Eastwood) and actor (Tom Hanks). Academy voters like to see their best picture contenders doing well with moviegoers and critics and "Sully's" had smooth sailing with both groups after playing well earlier this month at the Telluride Film Festival. Eastwood has been an Academy favorite for many years. He won the best picture Oscar in 2005 as a producer of "Million Dollar Baby." In 1993 he won best picture and directing for "Unforgiven." And he received the Irving G. Thalberg Memorial Award in 1995. Hanks went into the Academy's record books for winning back-to-back best actor Oscars in 1994 for "Philadelphia" and in 1995 for "Forrest Gump." None of last weekend's other wide arrivals gained much altitude in the boxoffice skies. Part of the problem was "Sully's" strong playability to adult women, who might otherwise have bought tickets to "Bridget Jones's Baby" or "Snowden." 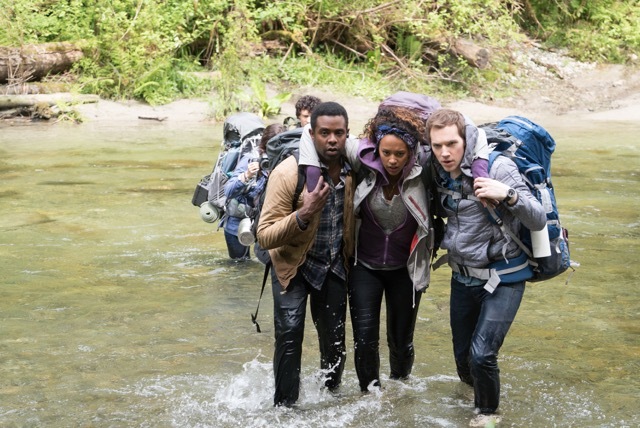 Lionsgate's R rated horror thriller "Blair Witch," the franchise's third episode, opened in second place with $9.7 million. Fortunately, "BW" reportedly cost only $5 million to produce. It had been a very long 16 years since the franchise's second episode arrived. Episode one, "The Blair Witch Project," opened July 16, 1999 to a sizzling $1.5 million at just 27 theatres and became a huge hit with $140.5 million domestically. "Book of Shadows: Blair Witch 2" opened Oct. 27, 2000 to $13.2 million, but only did $26.4 million domestically. Universal, Studio Canal, Miramax and Working Title Films' R rated romantic comedy "Bridget Jones's Baby" opened third with $8.2 million. But it did much better business internationally, kicking off last weekend in 39 territories. "The weekend international estimate is an excellent $29.9 million, including No. 1 openings in 24 territories," comScore said Sunday. "Combined with the U.S. and Canada gross of $8.2 million, the worldwide total is $38.1 million. According to Universal, this is the biggest romantic comedy opening weekend ever in the U.K. with $29.9 million." "Bridget Jones's Diary" established the series when it opened Apr. 13, 2001 to $10.7 million and did $71.5 million domestically. "Bridget Jones: The Edge of Reason" opened Nov. 12, 2004 to $8.7 million and did $40.2 million domestically. Open Road Films' R rated biographical drama "Snowden" came in fourth with $8 million. Adults typically take longer to turn out to see films that interest them, so "Snowden" could see some boxoffice growth in the coming weeds. Despite its low take-off, "Snowden" is likely to push for best picture and directing consideration given its three-time Oscar winning director, Oliver Stone, and distributor Open Road's best picture Oscar success last year with "Spotlight." Stone's last film, the R rated thriller "Savages," opened July 6, 2012 to $16 million and did $47.4 million domestically. Last weekend was down about 21 percent from this time last year, per comScore, when "The Maze Runner" opened in first place with $30.3 million. The year to date, however, is still running ahead of last year by about 5.4 percent, according to comScore -- $8.36 billion vs. $7.93 billion.